For buyers looking for a compact SUV that features the very latest technology while also being fuel-efficient, spacious, fun to drive, and very comfortable, the 2018 Honda CR-V is hard to beat. Starting at just $27,290, the 2018 CR-V was completely redesigned back in 2017 and features the best of everything. Regardless of your needs, the CR-V will meet them. The 2018 Honda CR-V is powered out of the gate by a brand new turbocharged four-cylinder engine that delivers 190 horsepower and 179 pound-feet of torque. This makes the 2018 CR-V one of the most powerful models in its segment. The engine is paired with a continuously variable automatic transmission, which provides a ton of comfort while also being fuel-efficient. The new CR-V has an average fuel economy rating of just 8.4 litres per 100 kilometres in the city and 7.0 liters per 100 kilometers on the highway. That’s quite impressive considering the CR-V also has more than 1,100 litres of cargo space. If you lower the rear seats, interior space climbs to more than 2,000 litres, which is more than most other compact SUVs. 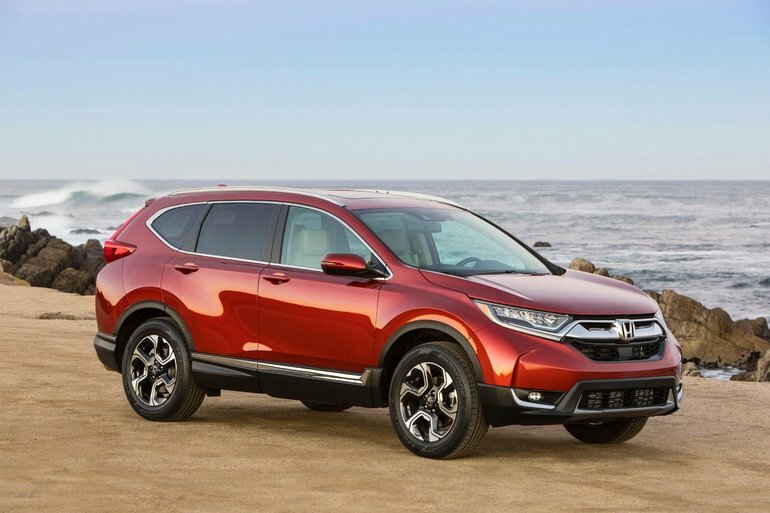 Even with all-wheel drive, offered starting at $30,090, the CR-V remains fuel-efficient. It has an average fuel economy rating of just 8.7 litres per 100 kilometres in the city, and 7.2 litres per 100 kilometres on the highway. The 2018 Honda CR-V provides its clients with a ton of value to go along with impressive fuel economy and interior space. Indeed, the 2018 Honda CR-V features Honda Sensing active safety technology in every model. Honda Sensing includes features like lane departure warning and prevention, automatic braking in the city, and adaptive cruise control. There’s certainly a lot to love about the 2018 Honda CR-V. You can find out all about it today at Rivington Rally Honda!